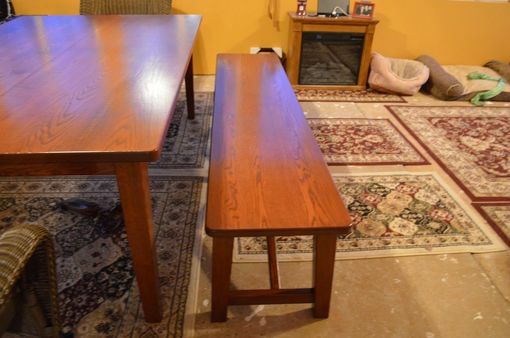 This dining table and four benches are made of solid oak. It has a lacquer finish and is 50" x 90". Table seats twelve easily and still has enough room for the family dinner. 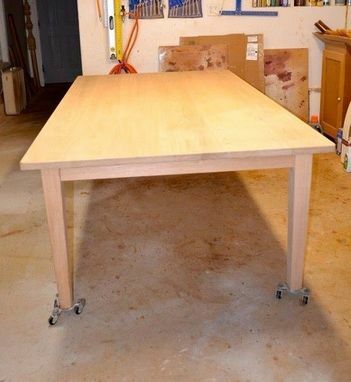 Table can be made in varying sizes to fit your space. Contact for a quote. Prices will vary depending on size and type of wood.